Having a successful practice is more than just being a well qualified and competent therapist. Marketing, Customer Relations and Networking are key to building and developing your business. No other centre offers practitioners such a huge range of resources and support than the Light Centre. 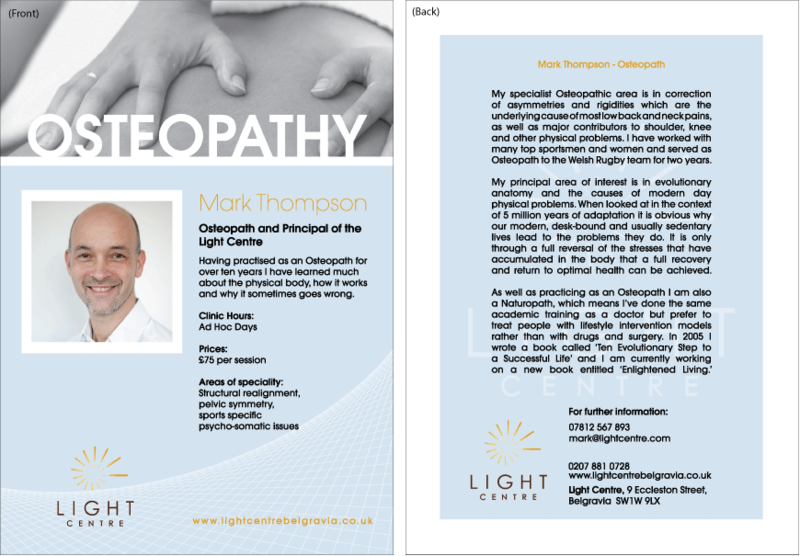 Below, Mark Thompson, the owner and founder of the Light Centre, explains the basic key areas of building and developing your practice. 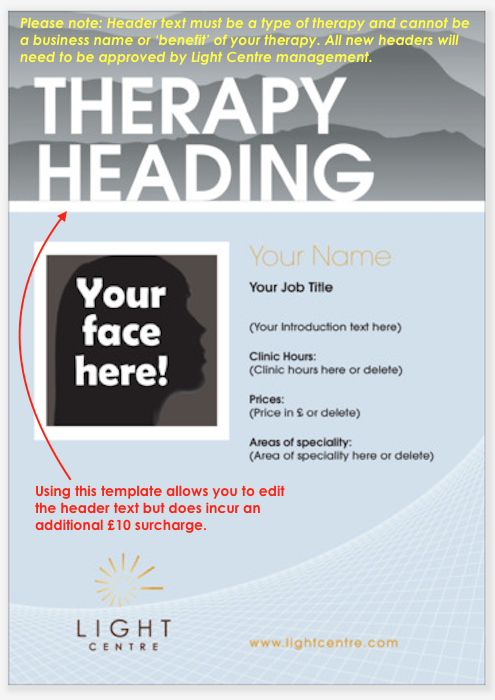 Below are all the resources you may need for a successful practice at the Light Centre. Feel free to download the PDFs for your reference.